CMs newly designed and compact MagBrake3+ supersedes the MagBrake3 and delivers smooth initial braking with preset output and the popular Softstart feature, then under heavier braking applications extra proportional boost increases brake performance, thus improved safety. Magbrake3+ sets a new benchmark in trailer-mounted controllers. Note: The unit should always have a fuse in series with the positive (black) wire to protect against overload and reverse polarity. A truly proportional braking system, P3 has several added features, making it the new standard for electric trailer brake controls. A distinct, easy-to-read LCD display with multiple screen colour options. Simple diagnostics show output current, brattery/brake/output voltage. 'The Original Boost' feature allows for different levels of customised braking. 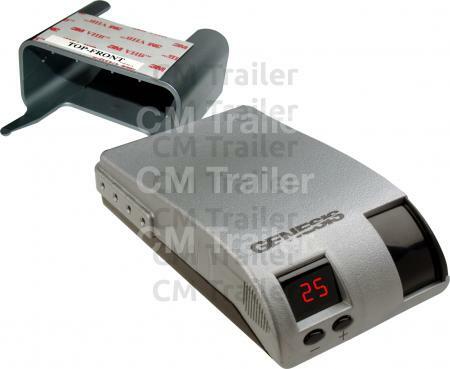 Electric trailer brake control for up to 4 braking axles. Limited lifetime warranty (some conditions apply). 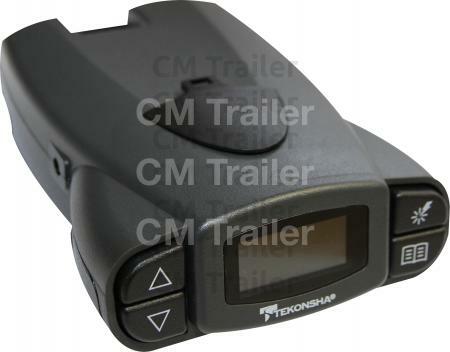 Digital display depicts voltage delivery to trailer during braking. No level adjustment necessary - it adjusts itself to terrain as you drive. 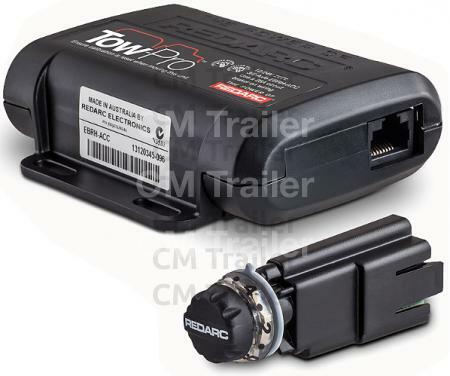 'Boost' feature allows user to apply more initial braking power when towing heavier trailers. 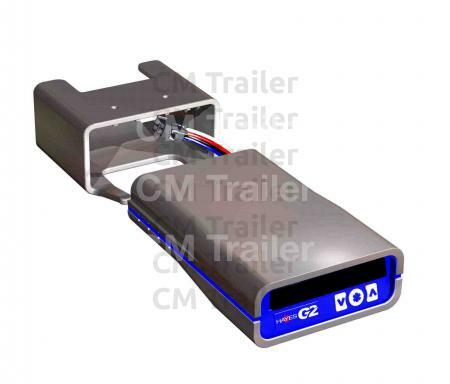 Electric trailer brake control for up to 4 braking axles. Limited lifetime warranty (some conditions apply). 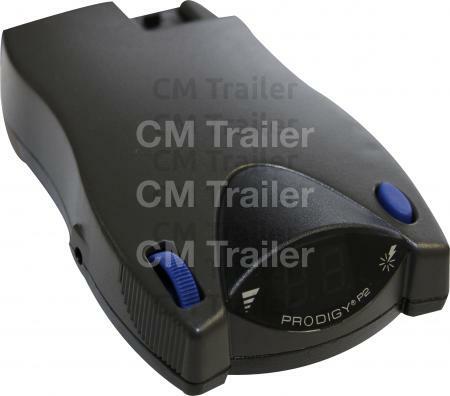 Tow-Pro is an electric trailer brake controller designed to suit most common trailer braking applications. It is simple to install and operate. It offer selectable automatic (inertia-sensing) or user-controlled trailer-braking modes, allowing the user to choose the braking style. The unit can operate both electric and electric/hydraulic trialer brakes without manual section. NOTE: Tow-Pro may not be suitable for some electric/hydraulic systems that require their own specific controller. The People´s Choice in Braking...Safe Braking at its Best! Handles up to two brake axles. For all single and tandem axle trailers equipped with electric brakes. Fully adjustable gain setting wheel. Wide range of mounting positions; perfect for steep dash surface mounting. Red LED indicator displays braking intensity and warms of short circuit. Easy to read display. Easy installation. Lifetime Warranty. The G2 is the top of the line in the Hayes range of controllers. Large, high resolution LCD display screen, shielded from glare. Handles up to 4 electric braked axles. "Boost Feature" gives you the ability to apply more initial braking power when towing heavier trailers.